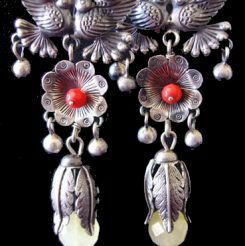 Tita Rubli Mexican Jewellery – Page 3 – Hand made Mexican Jewellery. We especialice in Traditional silver jewellery . 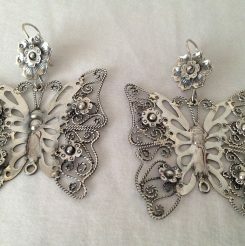 These earrings have a beautiful engraved butterfly, it is so delicate and well done!, well decorated and detailed. A smiling moon is embellished by delicate filigree. 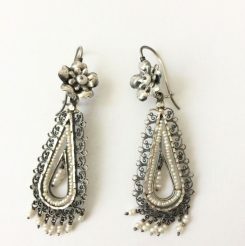 All jewelry is made by hand in repoussé technique in which a malleable metal is ornamented or shaped by hammering from the reverse side to create a design in low relief. 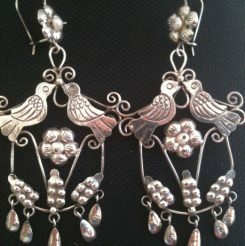 Made in silver sterling, these are easy to wear because they are not heavy at all. For pierced ears. 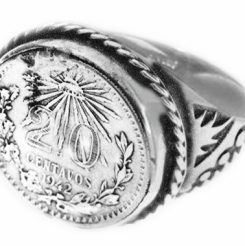 This silver ring is for those who like antique silver coins. 20 cent silver coin is in perfect condition.Phrygian cap on top is sometimes called a liberty cap; in artistic representations it signifies freedom and the pursuit of liberty. The twisted silver string that surrounds the ring is beautiful. This is a wonderful ring that can’t be missed. Tell us your size and we can make it. 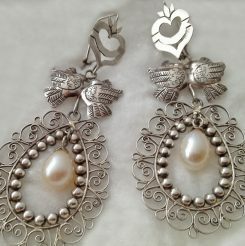 Heart Filigree for Brides;lovebirds, pearl. 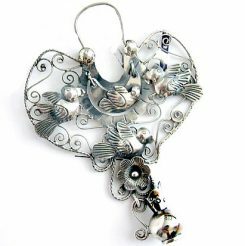 Beautiful large filigree earrings with a milagro heart on top, representing love, kissing lovebirds and a beautiful drop pearl surrounded by filigree. These are a beautiful pair for your wedding day!! Love birds and hearts! For pierced ears, they are lightweight, for pierced ears, can be made with posts. Feel free to write if you want a customized order. 15 business day delivery by certificate mail. Ready in 3 days, ask for details. 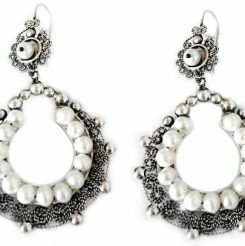 These earrings are large, filigree and colorful beads combine this beautiful design. 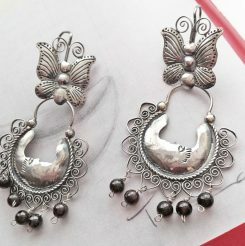 They are for pierced ears and are comfortable to wear. They are “muñeca style” because of it’s shape. 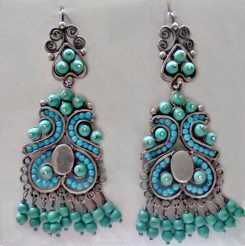 *Filigree has been made by hand, turquoises add a very special touch. Earrings are delivered by certificate mail in 2 1/2 weeks. I provide photographs. Kissing birds, daisy, leaves and quartz. 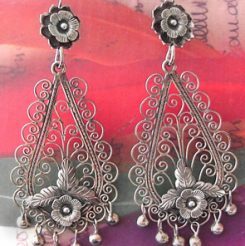 Made in repousse technique, earrings are lightweight. If you have a special stone, let me know. All earrings are made upon request. I need 3 days. Delivery is by USPS service 20 weekdays.